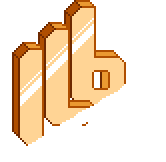 What has been your most memorable moment on ILB's Server? goty banned for firing my weapon 3 times, saddened i even reduced it, but nooooo because i cant use the drawables means i have to work with what i have. thanks a lot, bacons. making court ME REVENGE AGAINST THE EYE MURDERER IS FINALY GOING TO BE LEGAL!!!!!! !